The robotic vacuum has enjoyed somewhat of a boom in recent years, with iRobot leading that charge with its Roomba series of products. However, should you buy the one that’s currently on sale for Amazon Prime Day 2018, the Roomba 671? The Bottom Line: Roomba 671 is one of iRobot’s entry-level robotic vacuums, but it includes many of the baseline features found in pricier models, like Wi-Fi and Alexa support. This model is for folks that are either new to robotic vacuums or want a second one for another floor of the house. Pros: Wi-Fi connectivity allows you to activate your Roomba when you’re not even in your house. On a related note, Alexa support allows you to control the thing with your voice. Finally, the robot can vacuum for up to 90 minutes before returning to its charging station – plenty of time to clean several rooms. Cons: Of course, 90 minutes of charge time isn’t enough to clean an entire floor in a house. You also cannot run this device on all carpets – for instance, Roomba products do not like shag carpets. The Roomba 671 normally goes for a whopping $349 in the US, but is only $229 here during Amazon Prime Day 2018. 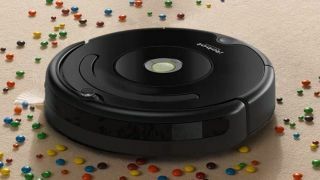 At that price, even before the deal, the 671 is iRobot’s least expensive Roomba vacuum. That said, it’s also the most basic of Roomba vacuums, lacking the intelligent room-bounding features of pricier models and less intelligent dirt tracking technology. However, you’re still getting the core benefit out of the product by going for the most affordable option. Battery life. Roomba 671 lasts for 90 minutes on a charge. That may not seem like a lot, but considering that the highest-end Roomba can last for two hours, it’s not too bad. Ease of use. Using Roomba 671 is even easier than previous models with control via either the iRobot app or your Alexa device. Though, you’ll still have to manually pick the thing up if an error occurs. There are countless robotic vacuums out there from companies like Shark and Dyson, but iRobot is the one that started this trend in the first place. With that, not to mention their quality, it’d be smart to go with a Roomba. However, if you’re truly left on the fence regarding your first (or second) robotic vacuum, check out our best robot vacuum buying guide. Of course, a Roomba sits at the top of that list, too.